Four shouts that allow you to summon dragon allies. 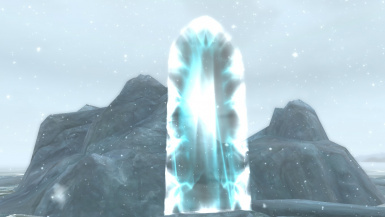 To the north of Septimus Signus's Outpost, a glowing portal has appeared. 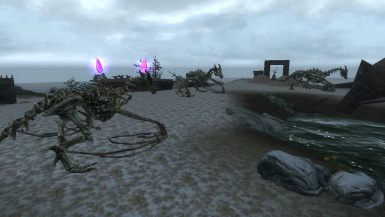 If you happen to pass through it, you will be met with the remains of a draconic necromancy cult, guarded by four skeletal dragons. 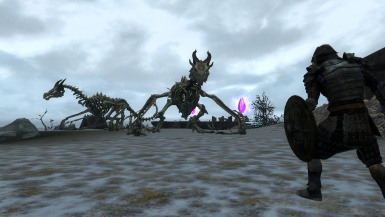 Defeat them and you will learn the ability to summon dragons of your own. 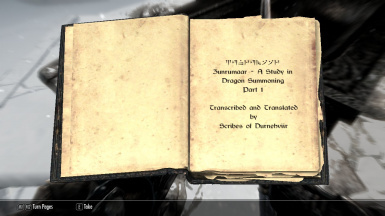 Summon Dragons - Durnehviir's Necromancy is a simple mod that adds four shouts, each one allowing you to summon a dragon for a certain amount of time. 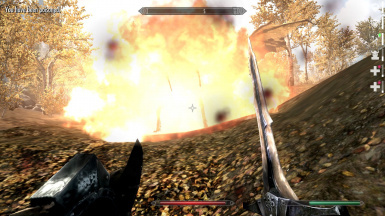 The shouts are affected by the Conjuration spell tree, so you can't summon them all at once. 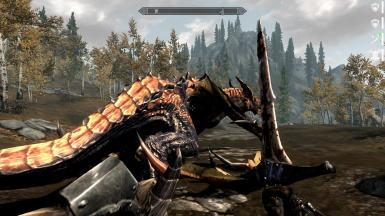 Each dragon has different attacks, will follow the player on foot when out of combat and fly when in combat. 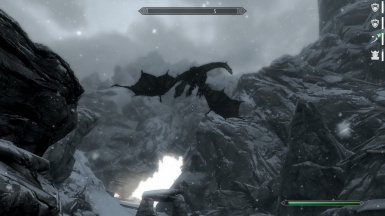 Dragons will circle above you once they've engaged in combat, and will seek out and attack enemies. The shouts are all somewhat voiced. Somewhat. 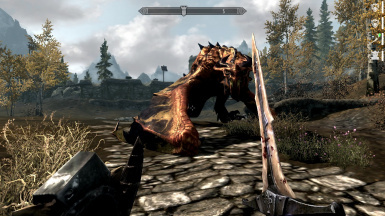 They use the current sounds that Dragons use when shouting. 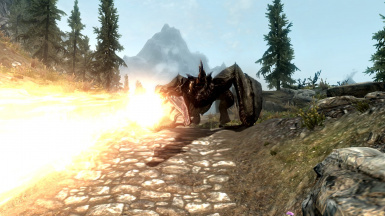 Use Dragons Shout with Voice to make them sound like actual shouts. 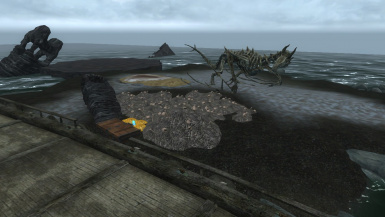 Your dragons may or may not look different, depending on what texture mods you use. 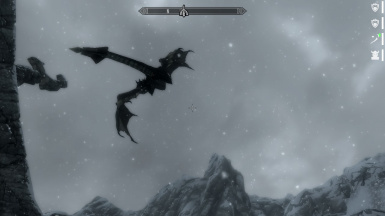 I have a lot of texture mods for dragons. Dragons separated from one's soul are clingy. Give them plenty of space when you first summon them. 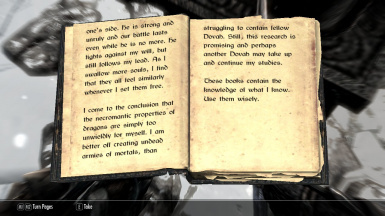 You need 3 dragon souls to unlock each shout, but nothing else is needed. 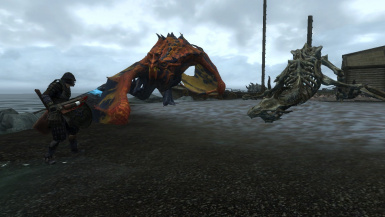 Companions may attack them if they get caught in dragon breath attacks. 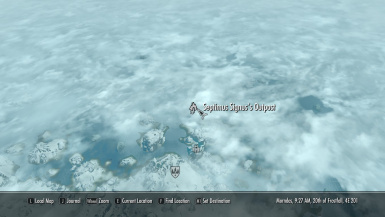 All shouts can be acquired by killing the four dragons located at Durnehviir's Den, an unmarked location north of Septimus Signus's Outpost. 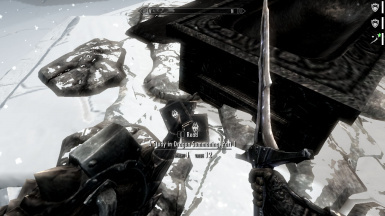 The three weaker shouts can be found via books at Arcwind Point. 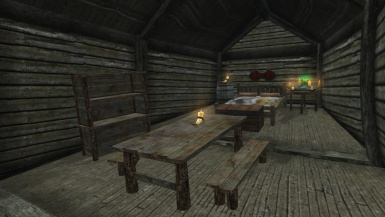 This is my first mod on the Nexus, I'm open to criticism and help.